Rihanna was spotted out and about in New York almost a year ago on the 1st of October. She said hello to October in a very fashionable manner. In this week’s installment of Vintage RiRi, we will discuss her look on that occasion and reveal a bit about one of the designers she wore. 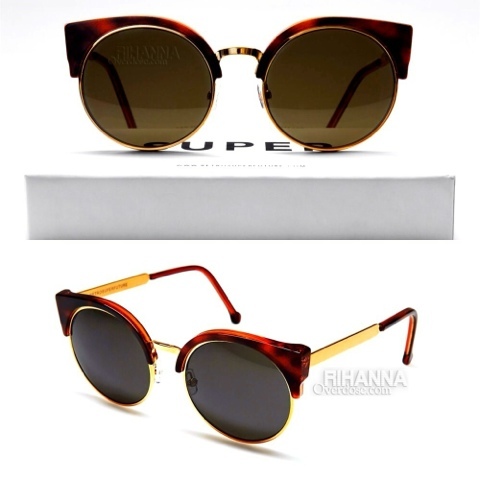 Rihanna began her look with Ilaria Gold Sunglasses by Super. Rihanna’s Ilaria Gold Sunglasses designed by Retro Super Future are described in this manner by the brand, “This is for sure our “Alta moda” shade and is realized with the combination of gold colored metal and our classic havana. The acetate elegantly dresses the top front and the ending of the arms. The gold metal finish the shade highlighting the round shape of the lenses.” You can snag a pair at the link below for €199 (approx. $264.87 US). I first signed up to tumblr back in December 2011 mainly to check out cool photos and get inspiration also for my photography. After a while I got bored of looking at the same sort of stuff so started following blogs that post gadgets, food, cars, models and fashion. From there (tumblr) I started following upcoming clothing brands, thats where my interest in fashion came about. Watching all these brands start and come up inspired me to start my own brand. Around the time (February 2012 ) the print and fabric leopard was in trend. So I made faux fur leopard pockets and started selling them. They were very popular and helped get my name out there. Amazingly enough this brand didn’t stop here. Michael tells us, My tees have interest all over the world, I’ve shipped tees to every single continent. My main customers are from USA, France, Japan, Hong Kong, Netherlands and the UK. .
Rihanna’s cotton t-shirt is inspired by Givenchy, another brand that is a constant feature in Rihanna’s Closet. 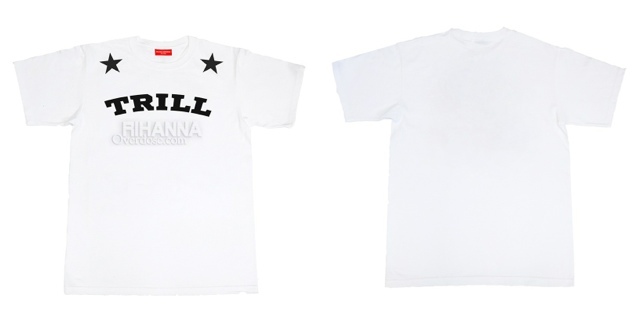 This top features “TRILL” across the top with stars on the shoulders. Currently this t-shirt is available at the link below for £40 (approx. US). Since our interview with Michael, not only has Rihanna worn another piece from his brand, (here) but Leona Lewis has worn it as well! 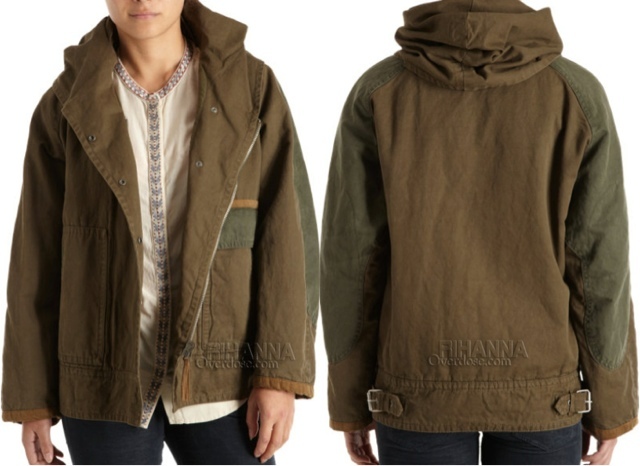 On top of this cool tee, Rihanna wore an Olive Étoile Isabel Marant ‘Alan’ Parka. This Alan cotton and linen-blend coat features a hidden snap placket, with oversized elbow patches at its contrasting sleeves. 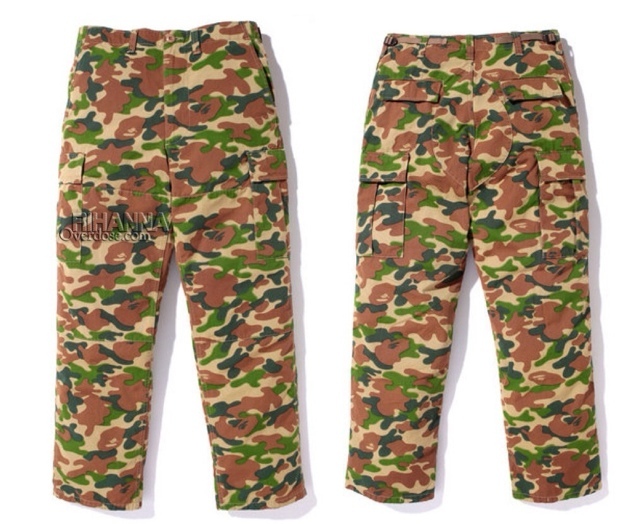 Rihanna complimented this piece with A Bathing Ape’s (BAPE) $288 Six-Pocket Camouflage Pants in green camo. They currently no longer have this product in stock, but you can review their current items online at their official website (here). 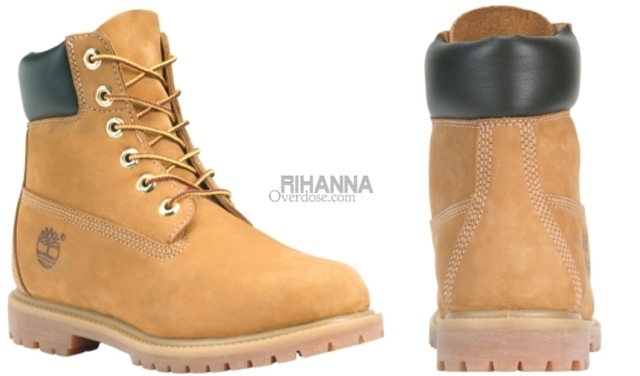 Rihanna completed her look with Premium Boots from Timberland. These Premium full-grain boots feature nubuck leathers for comfort, durability and abrasion resistance along with direct-attach, seam-sealed waterproof construction to keep feet dry in any weather. You will find several instances of her in these boots here in Rihanna’s Closet. 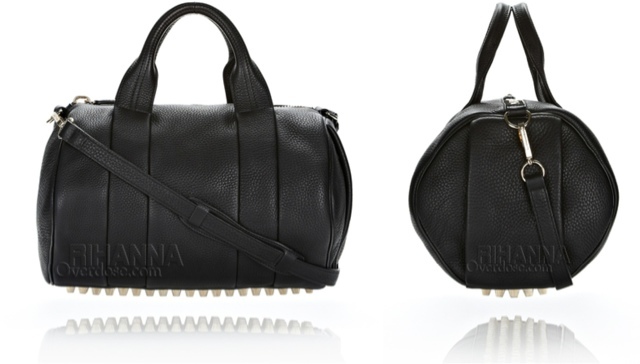 Rihanna accessorized a ‘Rocco Bag’ designed by Alexander Wang. This 100% cowhide satchel with a zipped opening features a studded bottom and two zipped pockets in one exterior gusset. Additionally, it comes with a shoulder strap with signature dog clips and a shoulder patch.